Manufactured in Korea. Excellent Quality at an economic price. Packaged 100 per box. Available in sizes: 12, 14, 16, 18, 20, and 22. 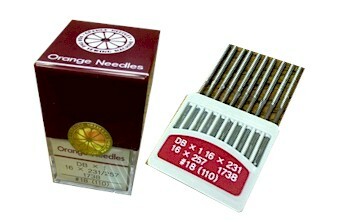 Select needle system & size.